Bruno making small talk over Kevin’s family pictures. Doesn’t stay long leaves..
Kevin says he’s excited to see Pilar to get out of the lobster costume he can tell she’s over it. We miss hearing from you Kevin Ivan and jane are really busy and no those cousins and no watching they are too little. But aunt Denise and uncle Rod , Aunt elizabeth, uncle Lyle , Tristan, Joshua , Grandma and grandpa , Ray, Jon and Dave are all watching. Since you’ve been on the show i’ve been recognised at the local hardware store, the post office and even the dentist office as Kevin’s mom the Kevin from Big Brother.. People at church are also watching and praying for you. kevin you love being with people and enjoy playing games so i’m sure there’s good times in the Big Brother Canada house. I’m sure there’s tough times to. Remember there’s people in the real world that love you no matter what, your family is here for you because we love and care for you. Kevin – People at my old church are watching that’s crazy to me .. they would be so against it. Bruno says it sounds like production is doing the POV competition outside. Godfrey – All i can do it watch now. Bruno says they never know what is going to happen with this show it could be a diamond power of veto.. you never know. Bobby might win it and be able to put Zach up. Godfrey – All three of his lap dogs are playing bro. Bruno tells them the second Zach sits on the block he’s gone. Bruno brings up trying to convince Kevin to put up Zach says he’s going to wait until after the veto is played. Godfrey mentions that Sarah is going to try to. Bruno saying unless they win this next week’s HOH they’re done.. Adds if Zach goes it will shatter the couple’s gives them a chance to work with some of the other people. They agree there’s no way to shatter the 2 couples alliance they have to evict the lynchpin Zach. Godfrey and Bruno think Zach is running the couples alliance and the rest of them won’t know what to do when he’s gone. .
Willow wants to make sure Zach knows to go after Bobby/Bruno and Bobby/Bruno go after Zach. Sarah – Bruno is mad you are playing both sides he’s playing both sides too.. You’re in a better position. 9:20pm Still no feeds Yo! 10:50pm Still nothing.. not even a little leak.. I don’t know how she passed the psych test to get cast. If Pili passed the psyched test then anyone over 4 year old can pass. I really need Godfrey to stay until the end. I don’t mind if he doesn’t end up winning but having this guy in the house absolute entertainment. Freaking hilarious! i thought the jesus comment was hilarious, but who’s the 3rd lap dog? is godfrey calling britt or sarah zach’s lapdog??? I dont understand why there is so much hate against Zach here. Fair enough he isnt perfect but the hate against him on this comment section seems too much. We hate Zach because he is what we wish we were. maybe you but you dont speak for me or , apparently most people here. We hate zach because he is an arrogant douche. hating someone does not mean you are jealous of them. I might not be the best looking but i still wouldnt want to look like him nor would i like to have as little awareness of he does. zach has nothing i want nor any qualities that either mirror my own or that i desire. A large number of trolls this season. Sarah trolls thumb down all negatives comments regaurding her even if true. There seems to be an impression among the trolls Zack is in a good position to win I could not disagree more he never gets close IMHO. Nor should he as the worst player this season hands down. If Z/Kev go next Sunday the trolls have to get a hate on for Bruno/GOD that could make some interesting forum discussion here. Can’t wait myself. We hate Zach cause he’s a TOOL! I think there is a bit of wisdom in what Kenneth says here. “We detest in others what we see in ourselves.” I wish I had been a conventionally good looking, popular guy with all the benefits. Do I like Zach? Not at all, but, am I, deep down, a teensy bit envious? Perhaps. britt is becoming dead weight for sarah except as a pawn shield. Well just from the thread this talk about putting up Zack is idiotic. Sarah’s a moron I get she’s to stupid to understand Kev isn’t putting up Zack with 10 left. GOD is a rag doll spewing whatever production feeds him. But Bruno being an idiot no one to root for left. So is the real target Bobby or GOD. I kinda think it’s Bobby. Guess POV will tell a lot. I’d like to see the option to use POV used myself. If Kev wins and doesn’t use it then the GOD F2 deal, though not genuine, might lead to a short term working relationship. Think Diapers gotta make a decision, phoney as it is, to ride with BBG or B/Sarah. They think they have Willow. We know they appear to have no one. I hate the double after this HOH. Got no problem evicting Zack and even Ash. But Kev/Zack means a coast to the end for Bruno just like Derrick from BB USA. I need that “entertainment” like a hole in the head. Another diapers HOH would not be better. I despise Sarah but she and B could do stuff but not after Z/Kev go unless ….. Ash and Pili could be scooped up plus Willow 5 girls versus 2 of BBG. Production could fix the HOH for a girls win leaving 5 girls and a guy. Oh the idea of a Willow win getting closer. F2 dream Willow versus Pili! Folks keep wanting Diapers gone I just showed you your azz the season. Are you happy now. I have a weird feeling Willow is being underrated. No fav more a devils advocate season for me. The whole girl power 5 is dependent on Zack/Kev going both. If Kev holds Pili as an example Bruno plus God Bobby survivor could still run things. That might be ideal for Bruno but not GOD for example. He won’t miss the possibility of a girls alliance late. If I’m Sarah I want Kev/Z gone. Get the girls then see if thy can win an HOH or 2. 5-2 is great but someone has to win something called HOH. The problem with Sarah F2 is this IMO. Lets say she has all girls at 4. How is she not the target as best positioned to win the game? Pili F4 is almost golden to get F2 as beatable. Sarah has to win from 4 down IMHO. That’s her Achilles heel. Don’t think she can comp to the end. She definately could help get girls F4 for sure. Nice to see you nothing wrong with rooting for Neda she did really well and if there is ever all stars she is a shoe in to get an invite IMO. For me the season is so much about perspective. Sarah I don’t see as a star. Don’t see Zack as a threat to win. Think GOD is wayyyyy over rated. Kev no star either. Out of all of them I like B’s 1 HOH But lord that was a long time ago in the BB house. About Pili… I thought long and hard about her HOH. She won HOH by getting questions correct. A fair number at that. That’s gotta be as good as standing on a gear to the end as a twosome. I hate the edits of her week. But maybe she is just a nice person not cut out for BB. That’s were I think she sits in all fairness. Try to remember going back to Chilltown feeds and the guests actions/words. Does anyone really think the “funeral” was Dan’s idea. Oh just about GOD and his humour. Britney was completely different between her season and coaches. Lord the only DR better IMO was Chilltown BB USA 2. Brit was pure gold. Don’t think Pili being fed much. Look at the pictures top right you think having her look like a laughing hyena is flattering. Production knows what there doing. PS don’t tell anyone this is just between us two. I won’t rant is Sarah wins. I can’t find a fav and I picked Willow as a dark horse early on. I’d be just fine with a F4 all girls. It would be richly deserved in a season of dumb…. if the guys all took out each other. I gave you a thumbs down just because you wrote a book instead of a comment. My apologies.. I’ll refrain from offering any further insight. Please don’t refrain from sharing. I am just joking. Please don’t take it so personally. Do you know how to scroll? Yo can say that again Simon! – loved his other comments: it took Ashley as long to do the challenge (ant one) than it took to build it. We have to have a separate area just for all the funny things he says!!! I know there are move but just can’t remember them. PLEASE POST. I think we will have to keep each other entertained as nothing big is happening in the house. PRAY it’s bobby or britt this week and not Bruno, God, or Sara. How the heck is Godfrey the “biggest” threat when he hasn’t won a HOH, barely wins a POV and doesn’t have any allies? He’s Zach’s biggest threat and that’s it, so these guys constantly going after him is their way of helping Zach get further. I wish this season’s best player and mastermind (Kevin) puts him on the block after the POV is won by Brittnee (sarcasm)…I just really want to see Zach on the block, that is all. How is putting up Zack good for Kevin’s game? They are in an alliance, Kevin knows that Zack is a bigger target than he is … so why would he put him up? I think he is keeping his options open and will try and work with God, if Zack should voted out. Zack, is so dumb … everyone knows, thanks to Sindy, that he’s been in an alliance with everyone. Nobody trusts him and he still thinking he playing all sides and is safe. team Godfrey!! lol knew I liked this guy from the start. He can’t leave…not yet!! One funny thing is I live on the west coast so I’m adding 3 hours to all the time stamps. I get so use to it that I end up doing it in my regular life.. More than a couple times people have looked at me funny. Now that is funny !! 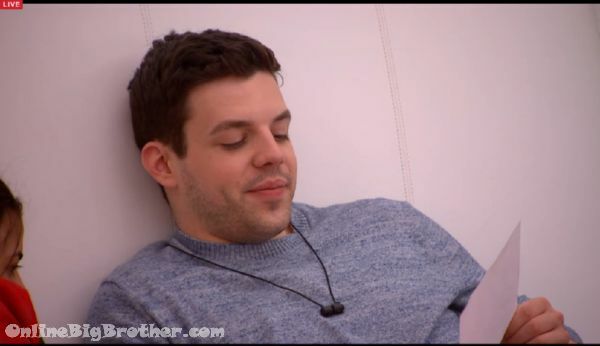 kevin will just prove he is not a mastrmind the minute he does noing to align with others combined with not putting up zach to get hm out.now when it is doable. he wont because he isnt social gaming with anyone but zach…pili..and ash. and for a mastermind he will fail just like jp when he finds himself on the block next to zach and him with no allies but pili.if he was smarter hed work on getting zach out now and hed have ash wit him instead of just pili. he only has to pretevd to be surprised. Swell drivel! Mastermind writing this piece needs a BB education. You want him to flip on Zack, moronic at minimum. Zack is a complete idiot but got backdoored by….? Lets see Sarah, B, Bobby and Bruno plus departed Cindy backdoored JP. Now lets have Kev do thier dirty work for them you are a fool. Your not the only on this thread but your BB education is about a 3rd grade level. Start colouring inside the lines at least! Diapers is his alliance. Need to know POV winner mon Simon and Dawg! Not a Kevin hater, but he’s also not my favourite for the win either. That said, I actually think that he might put Zack up. I really do think he is smart, maybe not a mastermind the way some, including production, claim, but I don’t think he is afraid of putting up Zack and I think he sees through him. Wouldn’t that make for an interesting double eviction after Zack leaves? Kevin is vulnerable in the next HOH so he needs his alliance to keep him safe. There is no way Kevin is back dooring Zach this week. I love Sarah and Britt, but if one of them manages to win POV, I would be shocked. I don’t think Kevin is a mastermind, but if he was smart he would pull Britt off the block and put Bruno up next to Bobby. We shall see. It’s almost 7:30. Is Ash doing terrible in another POV? i’m starting to wonder why they even have live feeds if they never intended on having them on. You know I don’t normally comment but you made a snide comment about someone else who I actually come here purposely to read. Their insight makes me look at the game differently. Then you post this drivel for what? Comedic relief? Sarcasm? I’d personally rather read their sometimes lengthy strategic breakdown then your sarcastic comments. Can’t we all just respect the posters that make this site interesting? Relax I am joking but in all fairness this is a site where everyone can comment. Those are my comments sorry if they offend you for some strange reason. That’s what the thumbs up and downs are for. You may like long posts and I may like short posts. We are different just like everyone’s opinions. If we all thought the same, this would not be the great site it is. Not only are the spoilers wonderful but so is the banter and opinions. Try not to let those differences bother you. Wow, I find your remark more offensive than anything TJ said. Are you the comment police? I don’t mind TastyJane’s comments at all. You are the rude one here. Loosen up!! I know!! I hate sitting here watching blocked feeds. Either its an endurance POV or a competition where one person competes at a time. Anyone know how the triple eviction will work? Mellissa there are 2 rounds. 1st round is Kevin’s HOH with 1 evicted. 2nd HOH comp is played and winner nominates 3 HG’s and 2 are evicted. There is speculation that on the 2nd round HG’s will vote to keep 1 of the 3 nominees. So, 2 separate rounds with 2 different HOH’s resulting in 3 players leaving in 1 week. And we may actually get to see a complete HOH comp.